Hellsingland Underground would rather call their music 'northern rock' since come from the northern back country of Sweden. Yet, with one spin of their second disc, Madness and Grace, their musical roots are deep in American country rock circa 1970's. Favoring elements of country, blues, and rock, you'll hear echoes of the southern greats like the Allman Brothers, the Marshall Tucker band, Buffalo Springfield, CCR and many more. The Spark that Never Dies, Vera, Poor Boy, A Short Time in the Sun and especially, the wonderful instrumental, Diabolic Greetings From The Woods revisit the grandeur of that classic era. And, honestly, Hellsingland Underground are quite the masters of the genre. There are vibrant songs like Poor Boy and The Spark that Never Dies that invoke images of lively backyard with gatherings and friends around barbeque and beer. Others, like Vera or Madness and Grace, drip with a dreamy melancholy for a front porch on a sleepy summer afternoon. On Madness and Grace, Hellsingland Underground shows remarkable depth and skill in reviving and reinventing the best of classic American southern rock, or in their case 'northern rock.' Highly recommended! 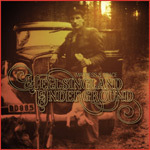 On Madness and Grace, Hellsingland Underground shows remarkable depth and skill in reviving and reinventing the best of classic American southern rock, or in their case 'northern rock.' Highly recommended!